If you’ve followed the video game industry for more than a year or two you probably know that certain things always happen. These things would be that developers & publishers will usually release remakes of and sequels to existing games which proved popular in terms of overall sales. But what if you could have your choice of which games got a remake or sequel? In our first ever edition of Armchair Game Studio, I’m going to talk about a game that in my opinion is well deserving of a remake, sequel, or both, after the jump. 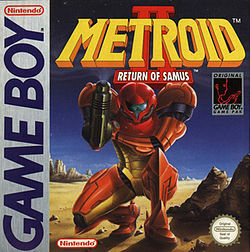 Metroid 2: Return of Samus was originally released on the Nintendo Game Boy way back in November 1991. That’s about 23 years ago. 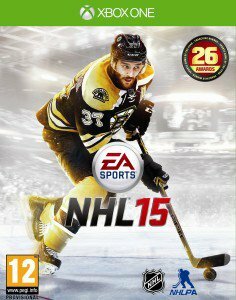 Some of you reading this were perhaps not even born yet when this game was released. I’ve talked about Metroid 2 on the GameSaga Podcast before as it was previously featured in our Retro Game of the Week segment and to this day, I still think it is a somewhat underrated entry in the series. Sure it didn’t have the flash and graphics of Super Metroid (arguably one of the most popular games of all time), but it was a fine entry in the series and even set the stage for part of Super Metroid. The game definitely had its flaws, like the lack of a map system (which wouldn’t be added to the series until Super Metroid’s release three years later), and to some extent, the degree of difficulty, but these factors just made it all the more satisfying when you finally were able to complete the game. One of the reasons for the difficulty factor was the limited graphical capability of the Game Boy. Many areas looked largely the same as one another and this combined with the lack of a map made it very easy to get lost in Metroid 2: Return of Samus. The Game Boy Color which first brought full color games to Nintendo’s handheld line, would not be released until 1998, 7 years after Metroid 2’s original release. But prior to this, Nintendo did release the Super Game Boy accessory for the SNES in 1994 which added limited color to Metroid 2. This helped a bit, but could you imagine what a full remake (possibly HD) would do for this game? 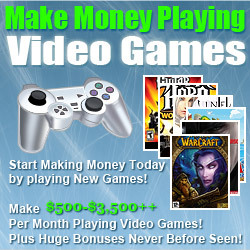 Well you’re in luck (somewhat), because an independent developer has been working on just such a project for the past few years. 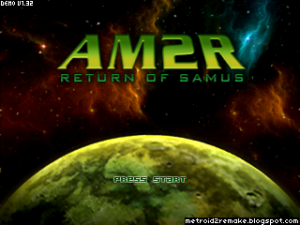 It’s called Another Metroid 2 Remake (or AM2R for short). It’s still being developed and demos release even month or two. Here’s a couple screenshots of the game. In the first one, you can see a comparison between the old Game Boy version and the modern PC remake version. This developer has chosen to remake Metroid 2 using that same kind of style that was used in Zero Mission. It looks amazing and certainly makes one hopeful that it can be finalized one day and/or an official remake could be made. Yes, Metroid has had sequels since Metroid 2, but the concept of clearing multiple types of Metroid has not really been touched on much since then. Apart from an Omega Metroid in Fusion and a brief cameo of other stages in Fusion, their only appearance was in Metroid 2. I think Nintendo could make another fantastic entry in the series if they explore this aspect of the Metroid universe in more depth. Personally, I’d love to see a Metroid sequel which gave us more background about these different forms of Metroids and allowed us to do battle with more of them, perhaps even discovering new hybrid species or previously unknown species of Metroids. For now though, we’ll have to settle with the original game and its fan remake. Come on Nintendo, please utilize the different Metroid types in a new Metroid game or at the very least issue a remake of Metroid 2. Please? After all, it was the most popular request in Kotaku’s recent feature where Shigeru Miyamoto asked what games fans wanted to see on Wii U.